Visit this incredibly vibrant Caribbean island filled with history and culture. Begin your adventure in the vibrant and captivating city of Havana. You'll spend a day and a half exploring (on foot or by bike) before snorkeling or scuba diving at the historic Bay of Pigs. Spend a night in the art deco city of Cienfuegos, followed by a day of hiking to natural waterfalls in the nearby mountains. 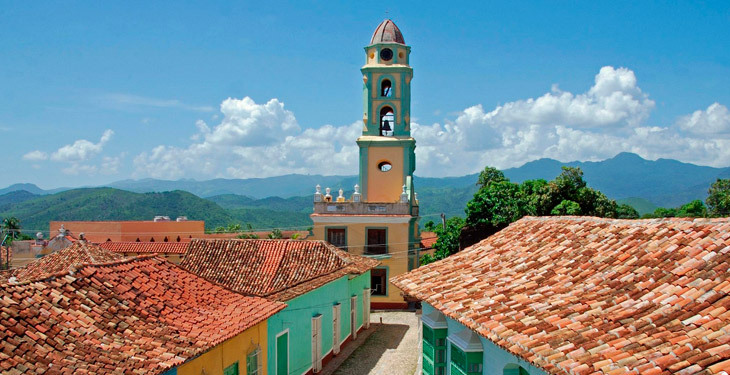 Discover the UNESCO World Heritage Site of Trinidad, famous for its white sand beaches and the nearby forest where you're free to explore hiking, biking, or horseback riding with the local Cuban people. Finish in style with one last night of lively Cuban cuisine and music in Havana before reluctantly heading home. Arrive at the airport in Havana. Most flights arrive early afternoon. A representative from KB Cuba will meet you at the airport and provide private transportation to your casa in Havana. Once you're settled, you'll embark on a short walk around town to stretch your legs and get acquainted before having dinner. Explore the historic city of Havana, Cuba! Move around and meet the locals. You'll go for a ride in a classic convertible and wander through the streets on foot and by bicycle. There are enough sights, sounds, and classic cars to keep you occupied as you spend the entire day exploring. 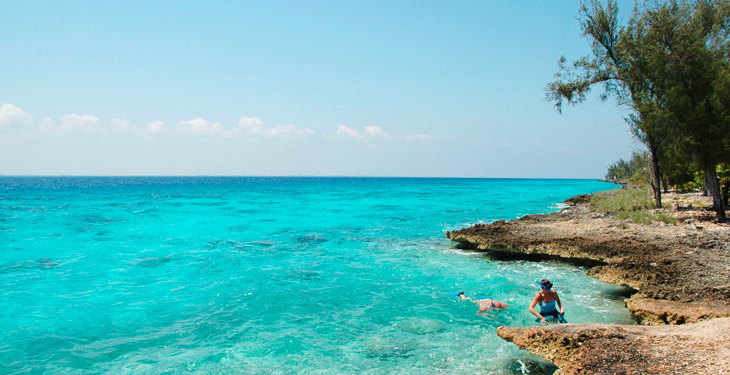 Depart for a two and a half hour drive to the famous Bay of Pigs. Enjoy some snorkeling or scuba diving in the crystal-clear waters of the Caribbean. Continue on to the bayside town of Cienfuegos, a UNESCO World Heritage Site, for a city tour (if there is time) or a late afternoon game of soccer with the local kids. 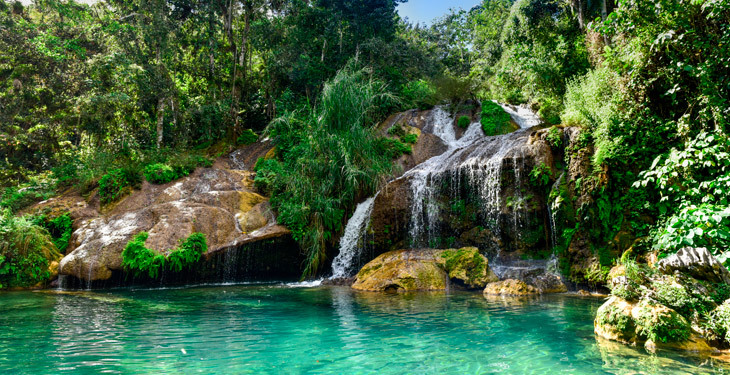 Leaving Cienfuegos, you'll stop at National Park "El Nicho," where you'll take a short hike to some small waterfalls and natural swimming pools in the forest. Afterwards, you'll continue on to the wonderful city of Trinidad. Explore this quaint, cobblestone town that dates back to the 1500's. After breakfast, head into the steep, lush mountain range above town for a rugged hike through the jungle to a waterfall and another swimming hole. You'll return to town for lunch, then head to a local national park for a horseback ride through the forest. If time permits, you'll take a quick drive down to the coast for sunset with the locals. In the evening, you'll have dinner on the town and enjoy some live music and a visit to the local disco, located inside a cave. Today you'll leave early and drive to a small, seaside resort with excellent snorkeling and scuba diving options that is ideal for beginners and first-time divers. There are some nearby caves to explore, a short hike to a secluded beach, and more! This site is spectacular and generally not very crowded. You'll make the 4-hour drive back to Havana for one last great meal and some Havana nightlife. After breakfast, take time to walk around the local neighborhoods outside of the tourist circuit and catch a game of pick-up soccer. A representative from KB Cuba will transfer you to the airport for your flight departure home. 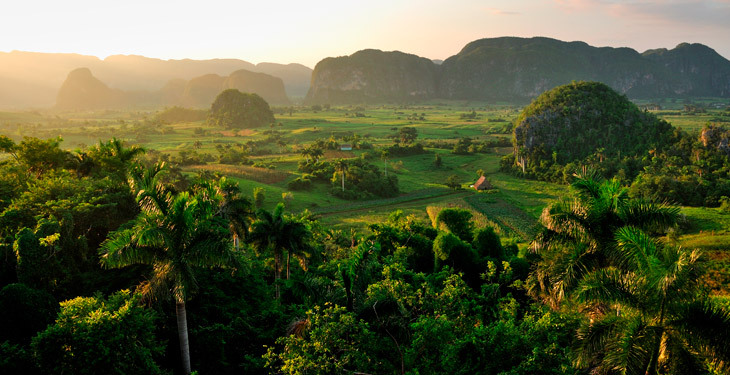 KB Cuba runs active, authorized trips to the beautiful tropical island of Cuba. Travel for U.S. citizens is allowed under the OFAC 515.574 "Support for the Cuban People" category exception. 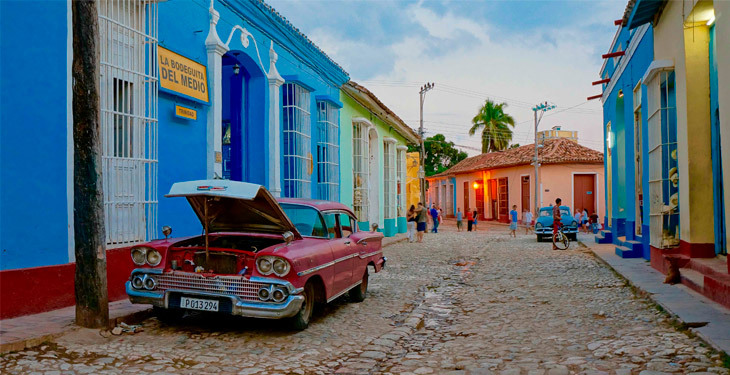 With a passion for travel to Cuba, KB Cuba's experience can help smooth out the many rough edges that still exist when traveling through this beautiful, but still developing country. Their guides are all English speaking, Cuban nationals who can give a true and fascinating look into the local, authentic culture of a country that they are very proud of. KB Cuba's philosophy is one of determined low impact, both environmentally and also culturally. They believe in small groups, blending in with the locals, and dispersing financial resources to small, local operators all in accordance with both countries' laws and customs. Based on the descriptions and welcome packet of information, as well as what we have heard about Cuba, we went on this trip prepared to take the good with the bad. Instead, virtually everything - the casa homestays, the food, the activities, and the logistics - highly exceeded our expectations. Everyone in our group agreed it was one of the best trips we have taken and KB Cuba did a great job. We would recommend this trip to any traveler. Hi KB, we just wanted to reach out and tell you that Reid and I had an outstanding and humbling experience and as we've said, really appreciated the mix of structure and freedom. As we have never taken a small group trip before, we definitely were a little nervous. But the people we met were wonderful and now, we expect, life-long friends. Thanks again. My biggest concern was that going with a tour would be too constrictive. When I travel, I need the chance to be spontaneous. The literature for KB Cuba specifically claimed to be a tour company for someone like me. I was dubious but willing to go. Let me tell you, this trip significantly exceeded my expectations. I knew I would enjoy myself, but I didn't expect to fall in love with Cuba the way that I did. I will absolutely recommend KB Cuba to anyone who asks. Rebecca and I had a powerful experience. All departures guaranteed! 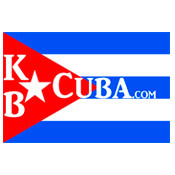 Please do not purchase flights or make your travel arrangements until you receive confirmation from KB Cuba Tours. Is it legal to travel to Cuba under the new administration? Travel to Cuba is only authorized under one of the 12 categories outlined by the OFAC and it's exceedingly difficult to get permission to arrive early or stay beyond your departure. It is possible to extend your trip but you must apply for an authorized visa through the OFAC in advance and have an authorized reason for staying outside of your trip dates. Yes, all departures are guaranteed! However, please do not purchase flights or make your travel arrangements until you receive confirmation from KB Cuba Tours. Most US travelers are now flying directly to Cuba. There are direct nonstop flights available from NYC, Boston, Charlotte, Denver, Ft. Lauderdale, Miami, and more from various major carriers. Plan to fly into the airport in Havana, José Martí International Airport (HAV), where a representative from KB Cuba will meet you and take you to your homestay. The maximum group size is eight people, and the average is usually around five or six. If you are a solo traveler and would like your own room there is a $125 fee. Cuban food is outstanding. It's local and fresh, consisting mostly of seafood and fresh vegetables and dairy, with plenty of beans as well. KB Cuba uses a mix of home cooked meals in their "Casa Particulares," combined with a few local restaurants for dinner. Cuban food is always an adventure! How do I purchase a travel visa? Cuba requires all visitors - not just Americans - to purchase a travel visa. This is essentially granted automatically to anyone traveling to Cuba. If traveling through Mexico, this visa can be bought at the check-in counter of the Cancun or Mexico City airport for $20. If flying directly from the US, most airlines have their own system for this visa and they are the ones responsible for providing it to you. Most airlines are charging between $50 to $90 for this visa. What is the best time of the year to visit Cuba? October through April are usually the preferred months. 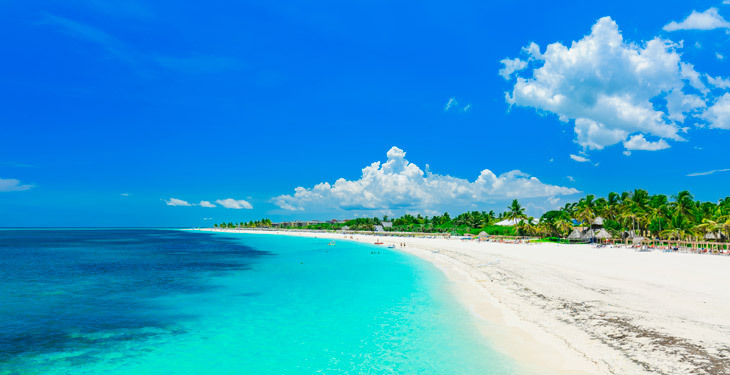 Cuba is a great destination when it's cold at home and you're in search of some warm weather. For most people that means visiting in spring, winter, or fall. May through August are the warmest parts of the year in Cuba, often with high humidity and daily rain showers. There are two currencies in Cuba. The local currency, peso, and the convertible peso (CUC), which is tied to the US dollar at a 1:1 ratio. The local guide will help you change some money into local currency. Credit cards are not generally accepted, and withdrawing money from an ATM is generally not possible, so you'll need to bring all the cash you'll need for dinners, drinks, souvenirs, etc. For most people that is from $500 to $1500. KB Cuba can arrange for safe, free safeguarding of your spending money throughout the trip so you can focus on having fun. All lodging, breakfast on Days 2-7, transportation, and activities are included. Extra money is needed for lunches and dinners, drinks, souvenirs, etc. For most people that is from $500 to $1500. Dinners without alcohol would be only about $100 for the week, so it is possible to hit the lower end of that scale if a budget trip is desired. Others can enjoy the rum-flavored, Hemingway-style nightlife options found throughout the trip. What should I bring with me? Do you have a packing list? Cuba has a very good health care system, but you should contact your primary physician and/or local travel clinic to discuss your plans for a trip to Cuba. A doctor is also the best source for advice on which, if any, special vaccinations would be required for travel, but there are no unusual health concerns for a trip to Cuba. We highly recommend purchasing travel insurance for all trips. Travel insurance allows you to seek reimbursement if you are forced to cancel your trip for unforeseeable reasons, or if you need to cover medical help, emergency transport, and/or theft or accidental damage while traveling. We recommend World Nomads for travel insurance.